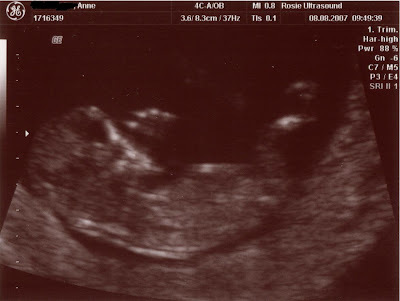 Here's the 12 week scans of The Bud - ThingOne's little brother or sister due in February 08. You see, we figured we were getting too much time to relax, read the paper, watch movies. Who needs to do that sort of thing? It's just as well Anne got pregnant when she did, as soon after ThingOne stopped sleeping. 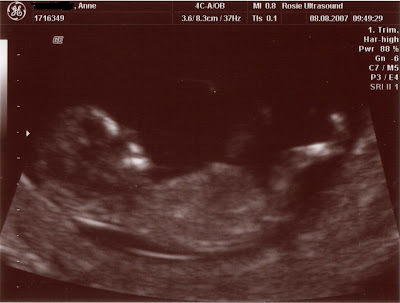 If Anne wasn't pregnant by then it'd have been quite a while before we could have conceivably conceived. Well done to us (and Anne especially).